Case includes 24, 500mL (16.9oz) bottles of FIJI Water. The 500mL size is perfect for everyday on-the-go hydration. Its soft, smooth taste comes from its extraordinary source -- a protected artesian aquifer found deep underground in the remote Fiji Islands. FIJI Water is the choice of discerning top chefs, fine restaurants and hotels around the world. Case includes 12, 1.5L (50.7oz) bottles of FIJI Water. The 1.5L size is great for ongoing hydration throughout the day. Its soft, smooth taste comes from its extraordinary source -- a protected artesian aquifer found deep underground in the remote Fiji Islands. FIJI Water is the choice of discerning top chefs, fine restaurants and hotels around the world. 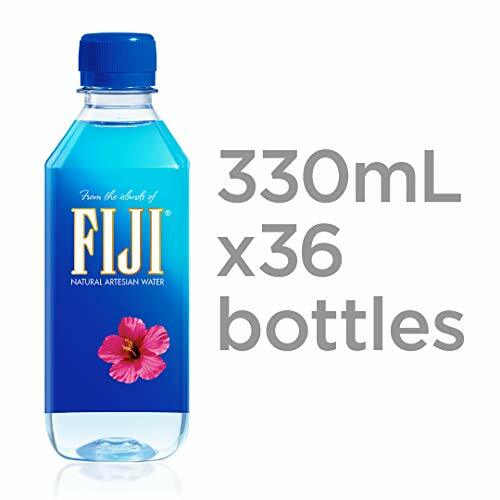 Case includes 36, 330mL (11.15oz) bottles of FIJI Water. The 330mL size is great for events, offices and kids. 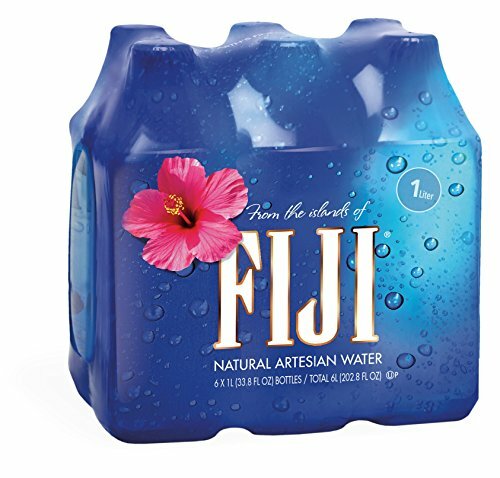 Its soft, smooth taste comes from its extraordinary source -- a protected artesian aquifer found deep underground in the remote Fiji Islands. FIJI Water is the choice of discerning top chefs, fine restaurants and hotels around the world. 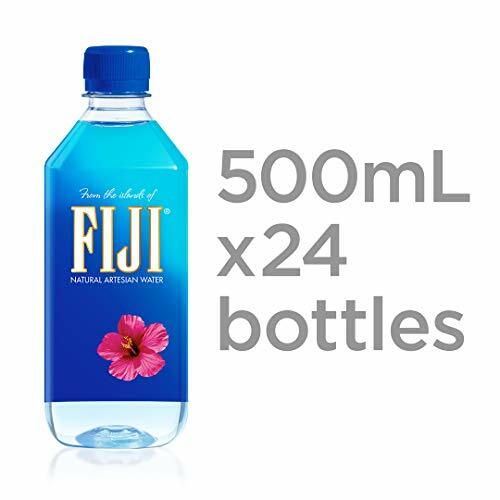 Pack includes 6, 500 mL (16.9 oz) bottles of FIJI Water. The 500 mL size is perfect for everyday on-the-go hydration. Its soft, smooth taste comes from its extraordinary source -- a protected artesian aquifer found deep underground in the remote Fiji Islands. FIJI Water is the choice of discerning top chefs, fine restaurants and hotels around the world. 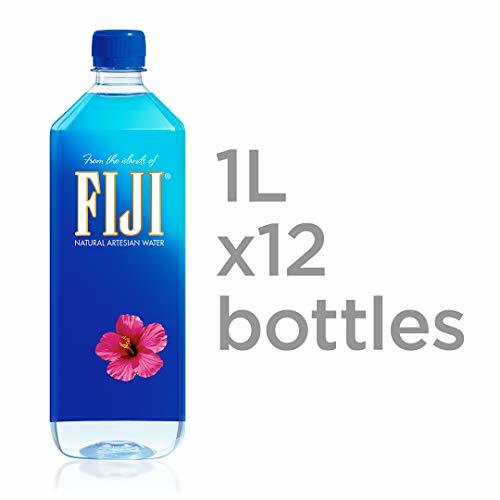 Pack includes 12, 700 mL (23.7 oz) bottles of FIJI Water. The 700mL Sports Cap size is perfect for hiking, traveling, and everyday hydration. Its soft, smooth taste comes from its extraordinary source -- a protected artesian aquifer found deep underground in the remote Fiji Islands. FIJI Water is the choice of discerning top chefs, fine restaurants and hotels around the world. Pack includes 6, 1.0L (33.8oz) bottles of FIJI Water. The 1.0L size is perfect for hiking, traveling, and everyday hydration. Its soft, smooth taste comes from its extraordinary source -- a protected artesian aquifer found deep underground in the remote Fiji Islands. FIJI Water is the choice of discerning top chefs, fine restaurants and hotels around the world. Savu water comes from an aquifer deep under a pristine low-land tropical forest. The underground pressure makes the water naturally rise to the surface where it is bottled, untouched by any outside elements. The exceptionally pure and abundant rain that falls on Fiji, more than a thousand miles from the nearest continent, has fed the aquifer for millennia. It is naturally filtered by prehistoric rocks on its long journey from cloud to the volcanic chamber that defines the aquifer. The water's characteristics are developed as it slowly absorbs minerals and electrolytes from the unique Fijian geology. 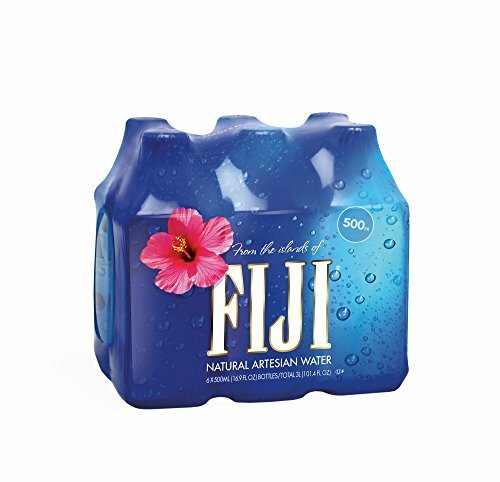 NEW - Fiji Artesian Mineral Water AQUA Pacific (Pack of 24) 600 mL. 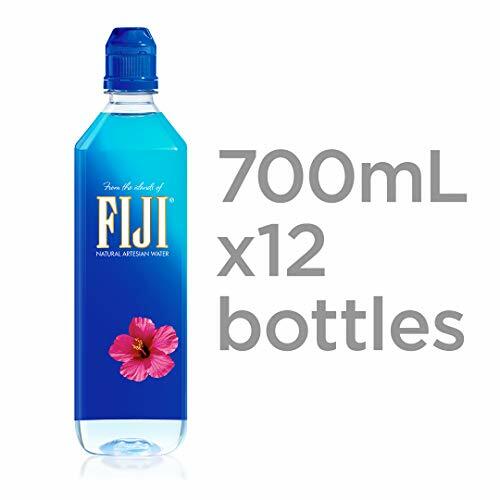 Discover Fiji's Finest H20 Bottle Water! From the Protected Source in FIJI. Fiji is home to some of the worlds most beautiful islands, tranquil rain forests and pristine coral reefs. 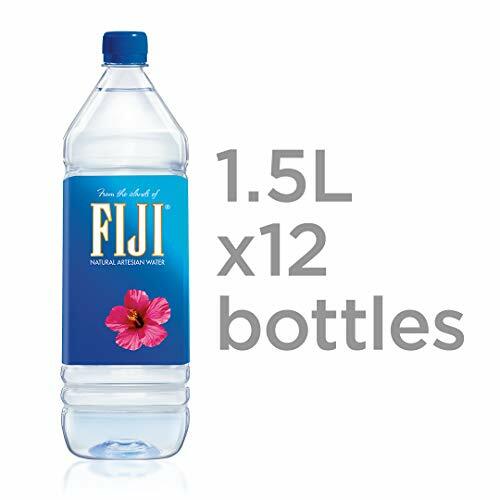 However, Fiji has also more recently become well known for its exceptionally pure and soft artesian drinking waters. 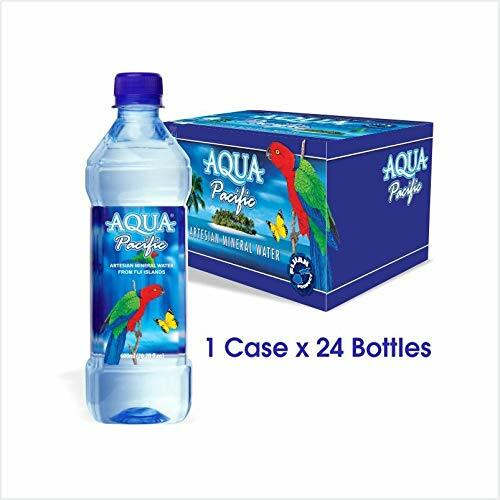 Aqua Pacific is an artesian mineral water which shares the same paradise appeal as its home and source. A totally pure and soft natural mineral water. We are proud to be a locally owned Fiji company and support and care for our natural Fiji resources. We process produces superior quality water with a 8 pH. Pure Paradise in a Bottle! Pack includes 6, 1.0 L (33.8 oz) bottles of FIJI Water. The 1.0 L size is perfect for hiking, traveling, and everyday hydration. Its soft, smooth taste comes from its extraordinary source -- a protected artesian aquifer found deep underground in the remote Fiji Islands. FIJI Water is the choice of discerning top chefs, fine restaurants and hotels around the world. 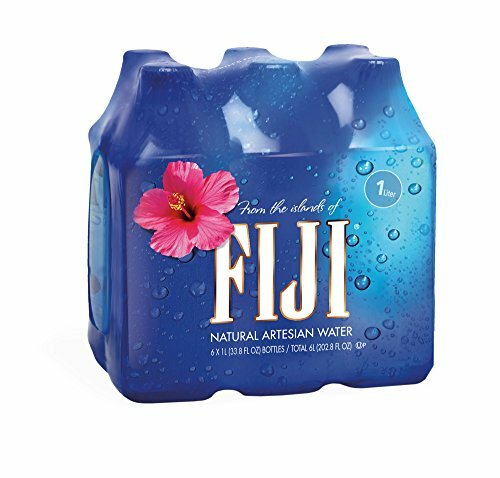 FIJI Natural Artesian Water 16.9 oz Bottles (Pack of 24) New!! Clean & PURE!